Songkran should be, can be, and most certainly is fun if you approach it in the right spirit, and just to prove it this is the first of a series of Songkran photos taken in and around Pattaya Thailand during the 2012 Pattaya Songkran festival celebrations. 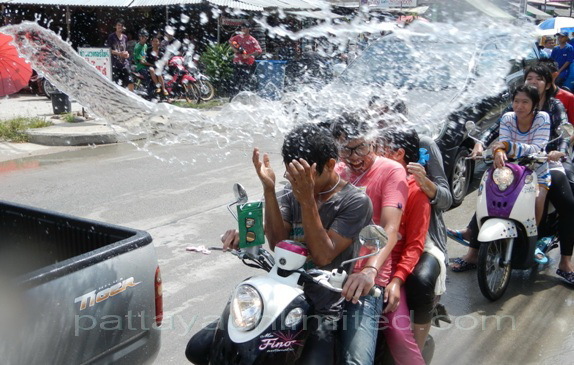 Keeping Cool, or keeping out of harms way during the Pattaya Songkran celebrations. Heavy local showers in Pattaya on the 19th April. Freezing water vs luke warm water, which one would win a fight ?. 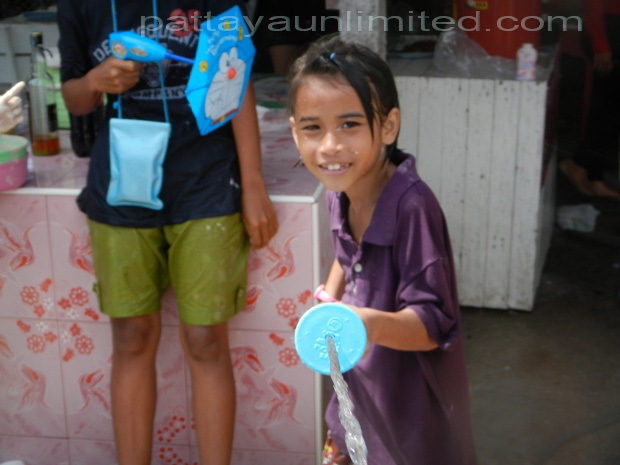 The smiles say it all, that’s what Songkran is all about.